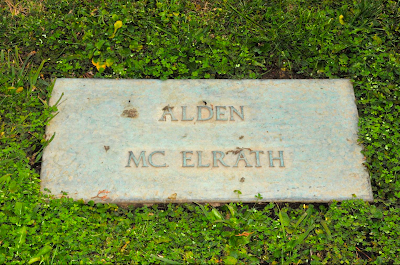 John Edgar McElrath (January 2, 1844–May 6, 1907) was a prominent Oakland attorney born in Citico, Monroe, Tennessee, who married into the prominent Alden family of Oakland. 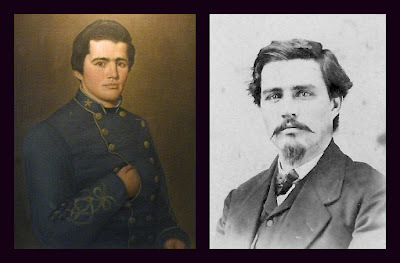 McElrath was the great-great-grandson of Tennessee Governor John Sevier, an American soldier, frontiersman and politician, and one of the founding fathers of the state. He is listed on the 1851 Silver Roll and the 1852 Chapman Roll as a male of mixed Eastern Cherokee ancestry. He served as a soldier in the Confederate Army during the Civil War, rising up to the rank of Major. On Dec. 11, 1862, he was was appointed Quartermaster, with rank of Major of the Cavalry, after which he ordered to Vicksburg, and was in all the battles around that city, surrendering to General Ulysses S. Grant on July 4, 1863. After return from the Army, he studied law and was admitted to the Tennessee Bar in 1866. He was an attorney and counselor at Cleveland, Tennessee before moving to San Francisco in 1869, where he practiced law until 1887. 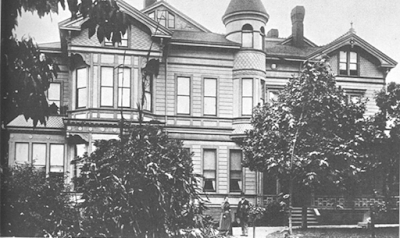 In 1887, McElrath moved his law offices to Oakland. On September 23, 1875 McElrath married Elsie Ann Alden, daughter of Solomon Ellsworth Alden, with whom he had eleven children. His grandson Charles Alden Black was the husband of former child star Shirley Temple Black. McElrath was a delegate to the National Democratic Convention in 1880 that met in Cincinnati, where he placed Mr. Justice Stephen J. Field, of the United States Supreme Court, in nomination for President of the United States. He ran for public office as the Democratic candidate for State Senator, and Superior Judge, but was defeated. McElrath was visiting his old family home in Madisonville, Tennessee, in 1907 when he died at age 63, leaving behind his wife Elsie and their nine surviving children. 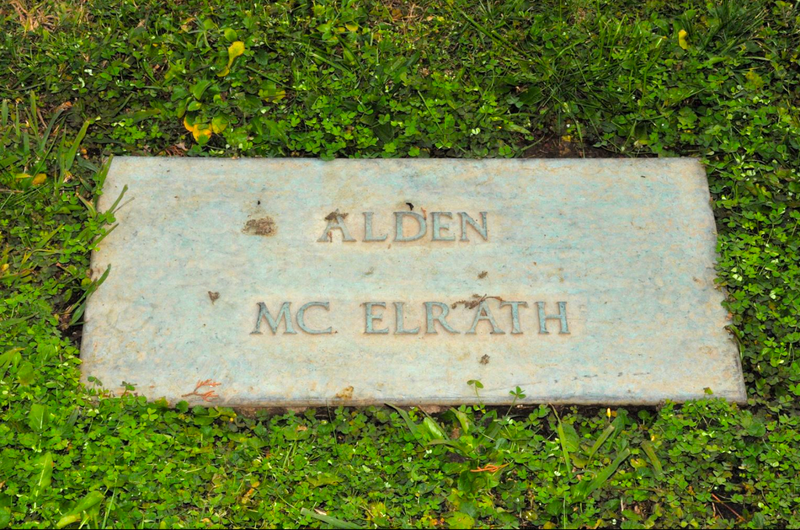 He was brought back to California where he was interred in Mountain View Cemetery along with many other members of the Alden and McElrath families, some in Plot 1, Lot 347, and some in Plot 1, 322. 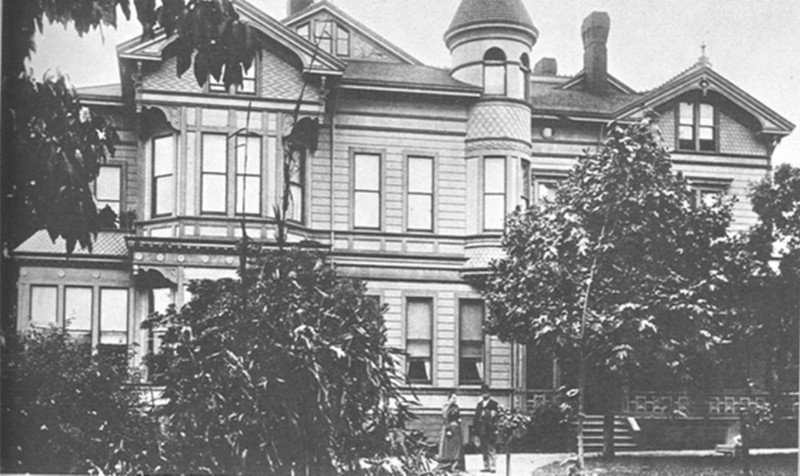 In 1912, the Baby Hospital Association purchased the McElrath's Queen Anne-style mansion to house their new hospital. The two-and-a-half story home, which contained 20 rooms, immediately underwent renovations for use as a hospital facility, and a clinic was established in the carriage house on the property where patients were treated while these renovations were taking place.